The faculty inquiry group meets in order to help students become better readers. I will facilitate discussions and activities focused on instruction techniques to increase effective student engagement with texts across disciplines. Ideally, everyone will build on what they already do as well as explore new ideas based on the Reading Apprenticeship model. We will get together throughout the semester to engage with each other about the dynamic that is conceptual change taking place in our classrooms. This is a hands-on session that will include a general overview of rubrics and rubric construction, how to build assignments and rubrics in Canvas, and how to set up course outcomes and attach them to Canvas rubrics for assessment purposes. Bring your own assignment to work with if desired. An overview of the Associates Degree Program at Pelican Bay State Prison with a look at where we are today, the challenges we face, and the personal experiences of the students and faculty involved in this important equity work. 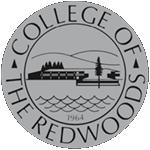 This presentation and discussion will provide an opportunity for the College of the Redwoods community to discuss how to reach and connect with students in our classroom, on campus, and in our community. Institutional Learning Outcomes (ILOs): How are students doing? We will review data related to all ILOs: (1) Academic & Career Technical Objectives, (2) Personal & Professional Development, (3) Community & Global Responsibility. Recommendations from this session will be identified for inclusion in the Institution Annual Plan. Current CR Faculty liaisons, as wells as other faculty who have an interest in learning more about the liaisons role, are welcome to attend.The curriculum alignment discussion process, site visits, and building relationships with the high school instructor will be discussed. Associate Faculty: This session is devoted to getting your questions answered by full-time faculty and administration. This is an unstructured time to focus on whatever you want. Introduction to Windows 10 for faculty and staff. Attendees will have an opportunity to become acquainted with the many new features and functions of Windows 10 with hands-on experience. Learn how to use MS Outlook features such as scheduling repeating events, and setting up group contact lists. You will also learn how to archive your e-mail. Did you know that WebEX licenses can be purchased by your department for $79? Learn how to schedule and attend a WebEx meeting with audio and video features. This mentoring session is for first-time, full-time faculty.